When should you clean your vents? Clogged dryer vents can cause house fires! 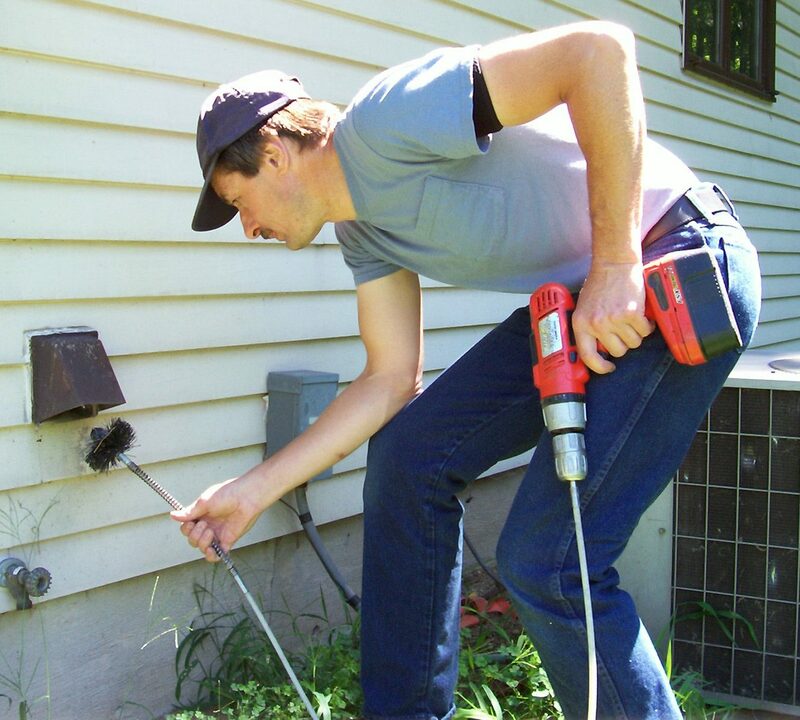 Clogged dryer vent can cost you money! If you dryer vent is clogged, your dryer has to work hard to circulate air to dry your clothes. Not only does this cause excessive wear and tear on your machine, it also uses more electricity (and gas or propane) as your dryer will be running longer than usual to dry a load of clothes as they can take up to 60% longer to dry! Want to take the guesswork out of knowing when it's time to have your dryer vent cleaned? Look no further! 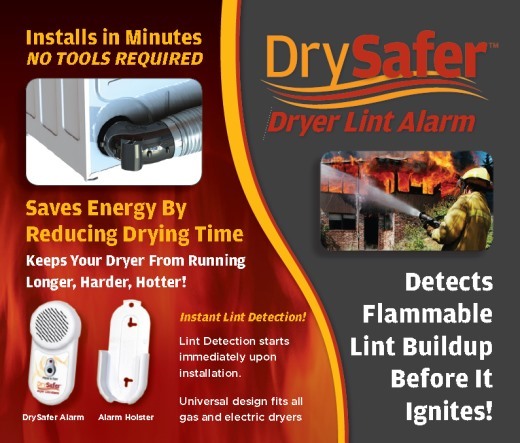 Krohn's is an authorized dealer of the DrySafer™ Dryer Lint Alarm, which is so easy to use you can install it yourself within minutes! 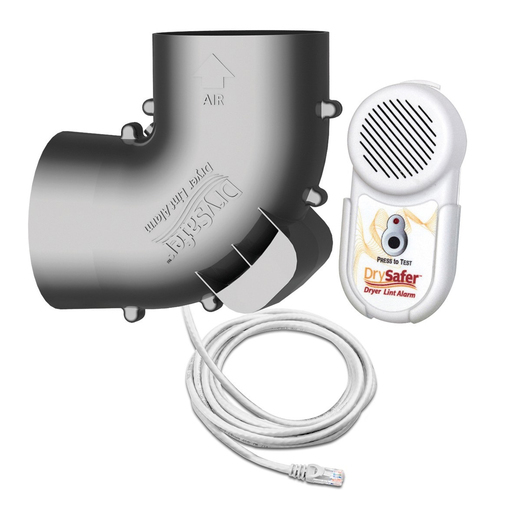 These prevent overheating by both alerting you when there is excessive lint anywhere throughout your dryer's exhaust system, and with the high temperature alarm which alerts you BEFORE your dryer overheats! (Saving you money from having to potentially replace elements and/or thermostats & pay for excess energy costs) Their EZ Flow Design with their crush-proof elbow also means you can push your dryer back only 5" off the wall, and don't have to worry about kinking your flexible ducting. It attaches to the back of your dryer, then you attach your flexible ducting to it, you link the sensor power cord to the alarm & use the wall mount to keep your alarm on the wall next to your dryer. You certainly can clean your own vent! 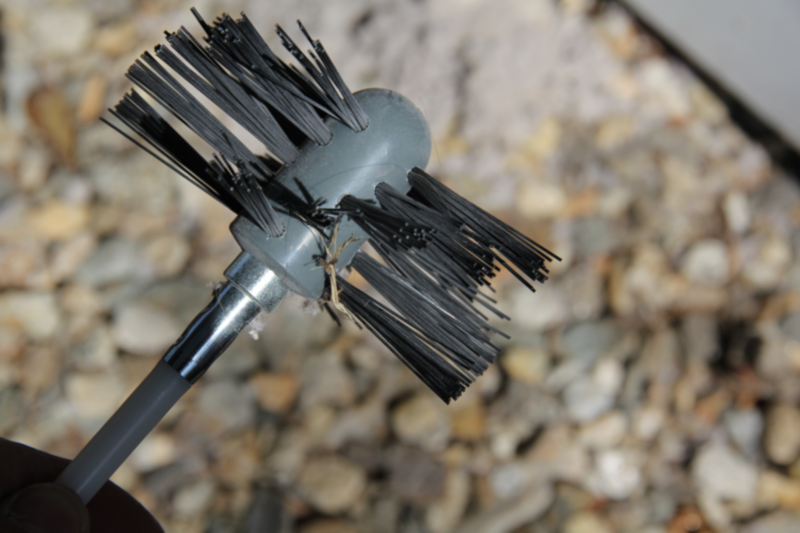 All you need is a quality brush kit, a heavy duty vacuum (such as a ShopVac) and some free time! Many older homes have laundry in the garage, or near an exterior wall making cleaning the dryer vent relatively simple. Just make sure that you are cleaning the hard ducting (that goes through the wall), the flexible ducting (that hooks up from your dryer to the wall), and also inside of your dryer (which requires removing the back panel) to ensure you are getting EVERYTHING clean and safe! YouTube is a great resource to walk you through it! Despite your best efforts to clean your lint trap after each load, lint still manages to sneak into the dryer cavity and vent system. Many professionals recommend having your dryer vent cleaned once a year, but that number can really vary per household based on your venting circumstances & quantity of laundry. You should certainly check it once a year to see if it needs cleaned! Be sure to check both the interior end (including the flexible ducting) and the exterior end. If you notice a film or buildup of lint in or around the area at all, be sure to clean your vents or contact us to get it done! How do we clean your vents? We use a combination of a heavy duty vacuum system and heavy duty brushes to clean out your vents that is able to reach the entire length, whether your vent just runs through an exterior wall, or goes up from the middle of your home and our the second floor! When we are finished, the entire length of your ducting will be clean, including your flexible ducting hooked to your dryer and in inside of the dryer itself. 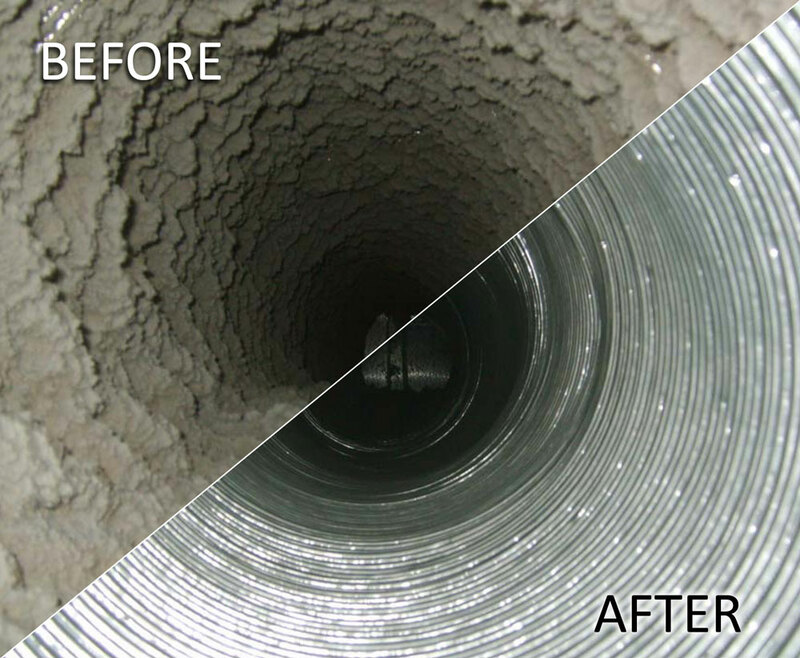 Even if birds, rodents, or other critters have decided to make a mess of your ducts, we will get you taken care of! Check out our Furnace Duct Cleaning Page, and see you how you save 50% off of a Dryer Vent Cleaning! Contact Us TODAY to Schedule a Dryer Vent Cleaning!